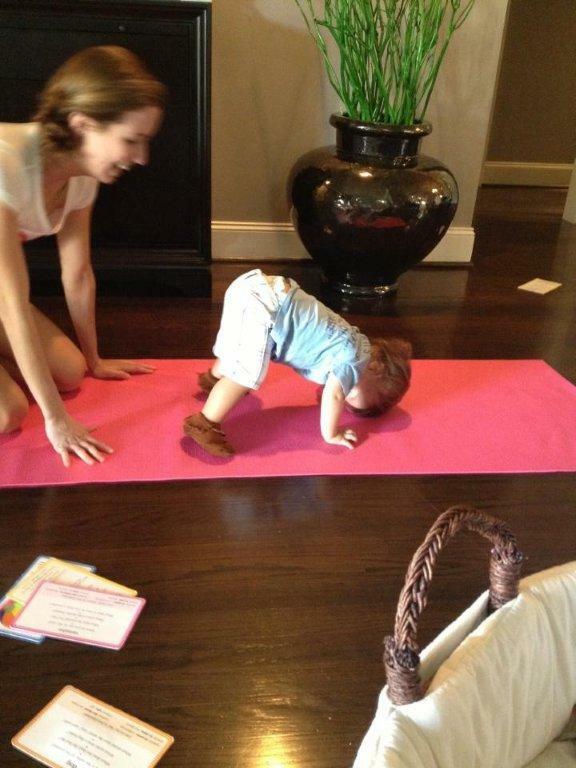 bohoBlack: baby yoga...start em young! 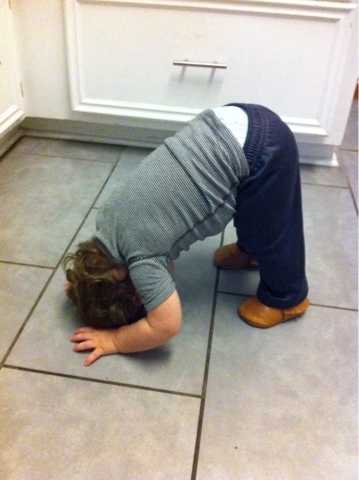 Yoga To wind down before bed. Have your child lie on her back with his legs straight up against a wall and his arms outstretched. Place a lightweight toy on his tummy. Tell him to breathe in, so that his belly puffs up and the object rises. Have him slowly release the breath to a count of five. Repeat until he's relaxed. - Dax loves this one...it's never really helped him wind down, but he likes seeing the toy move up and down on his belly. To head off a tantrum. If there's a meltdown on the horizon, tell your tot to lie on his back and pedal his arms and legs in the air while saying "ha, ha, ha" in sync with the movement. Before he knows it, he'll be giggling like a little goose. - I haven't tried this one yet...I'll have to show him the move, so if he doesn't laugh, i definitely will! Sunrise and Sunset. Stand with your arms to the side, feet shoulder width apart. 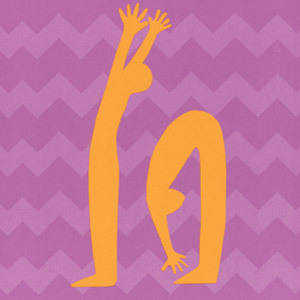 Hold the pose for a breath, then say sunrise and reach your arms into the sky breathing in. Next bend over and say sunset exhaling out, touching your toes. Butterfly is his favorite and is so super easy. Sit on the ground, put the bottoms of you feet together and flap away! Gorilla pose. Have your lil one stand legs wide apart, knees slightly bent. Have them bend over at the hips and swing your upper body back and forth just like a gorilla!